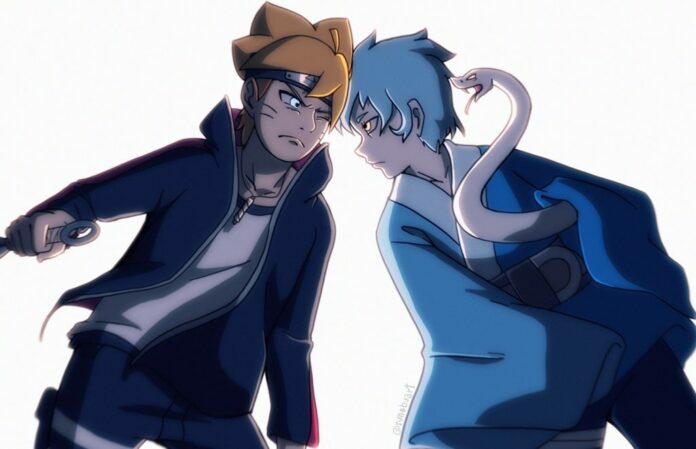 Right now, Boruto’s Mitsuki arc in underway where Boruto and the others are trying to get Mitsuki back home and prove his innocence. In the previous episode, we saw Boruto ad the others planning to infiltrate Iwagakure in the hope that Ohnoki, the former Tsuchikage of Iwagakure will help them in finding the lead on Mitsuki. But will he? 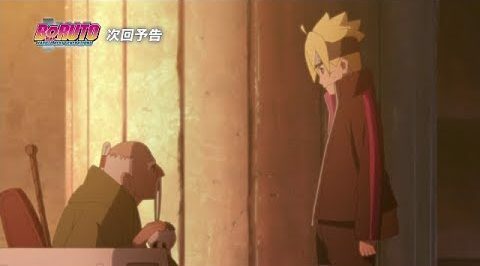 To find out about this we will have to break down and speculate the events of Boruto: Naruto next Generation Episode 82. But before that, there is a warning for you. The post ahead contains major spoilers so read at your own will. Subscribe to our Reddit Community for latest updates. The next episode of Boruto is going to release on 18th November 2018 on its official timing. Episode 82: Infiltration!! The Village Hidden in the Stones Leaving behind Inojin in the case of an emergency situation, Boruto and the rest aim towards The Village Hidden in the Stones (Iwagakure). They decide to rely on the former Tsuchikage, Ohnoki, who they met at the Five Kage meeting. As they look for where Ohnoki is, Boruto and his friends are spotted by a certain character as they are infiltrating into the village. On the other hand, after being unable to make contact with the scout team that was sent to The Village Hidden in the Stones, the leading Jonin of Team 7, Konohamaru is sent after them. In the upcoming episode, we will witness Boruto and others infiltrating Iwagakure. They are hoping that Onoki will help them. Being one of the strongest characters in the Naruto Universe, Onoki would be a powerful ally to have. But what they do not know is that he is already really sick, to the point that asking him to fight beside the genins would definitely result in his demise. Also, one more major spoiler is that Konohamaru will be stepping up to help the genins willingly. He thinks that whatever happened with Mitsuki is partially his fault and he wants to make things right. Whether Konohamaru joins the kids, is in the hands of the next chapter but one thing is sure, Ohnoki will deny any help to Boruto and others. The reason behind this is hidden. On the other hand, Lord Ku is eyeing the genins’ every move and will surely plan a major attack on them very soon which will cause them to split up. Although the plot development is interesting the arc as a whole is quite boring. It has been stretched beyond any constraints and man people are forced to think that this is way too much. Nevertheless, let us see what happens next.